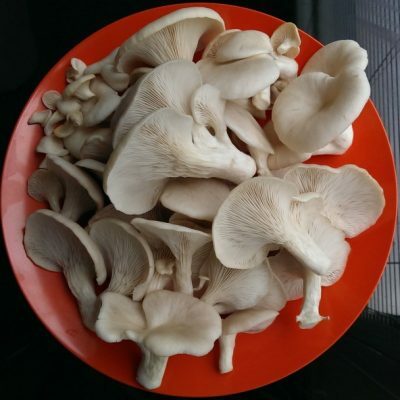 Black Morels are one of the finest culinary wild mushrooms and are much in demand by chefs and restauranters attracting a high market value. 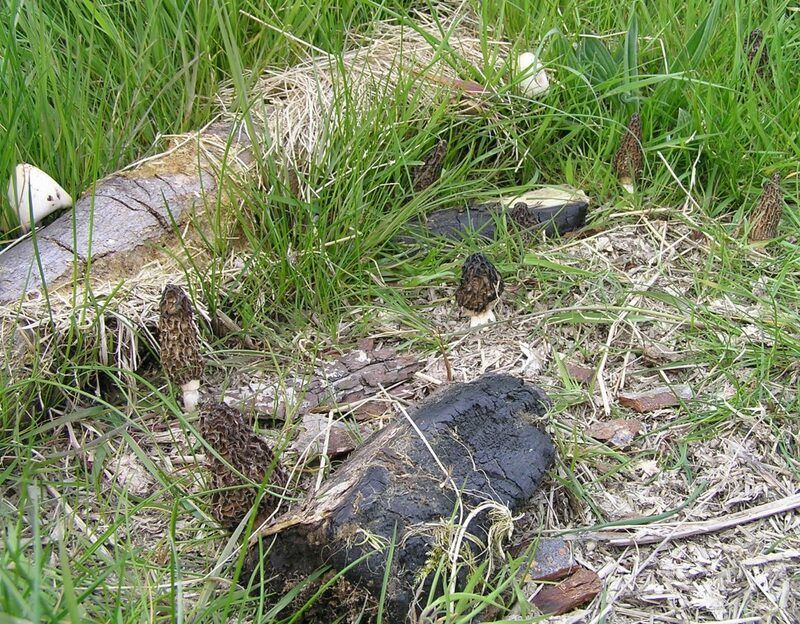 Using the simple and effective Fire Pit Technique Black Morels can be grown by anyone outdoors in the garden or woodland. 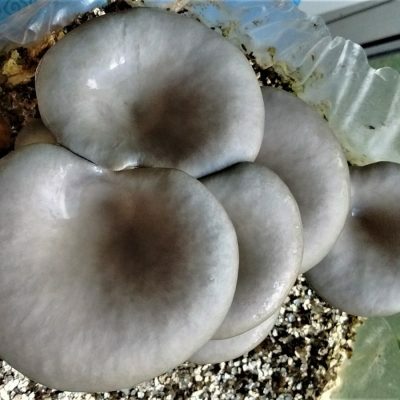 Attempts to cultivate Morel mushrooms intensively indoors have so far had little success consequently the market is supplied seasonally with wild harvested Morels from around the world. 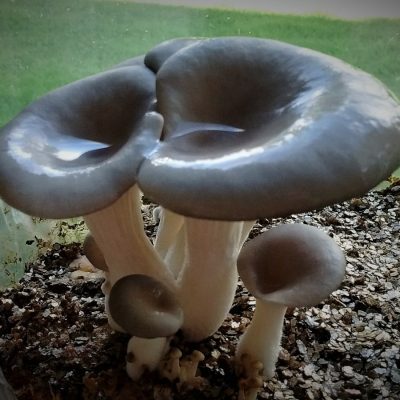 The key to successfully growing Black Morels outdoors is to provide a growing environment that the Morel strain is already familiar with. Morels are incredibly sensitive to their environment and have complex interactions with other plants, trees, micro-organisms and weather conditions that is not yet fully understood – that’s why they are so difficult to grow in a controlled way. 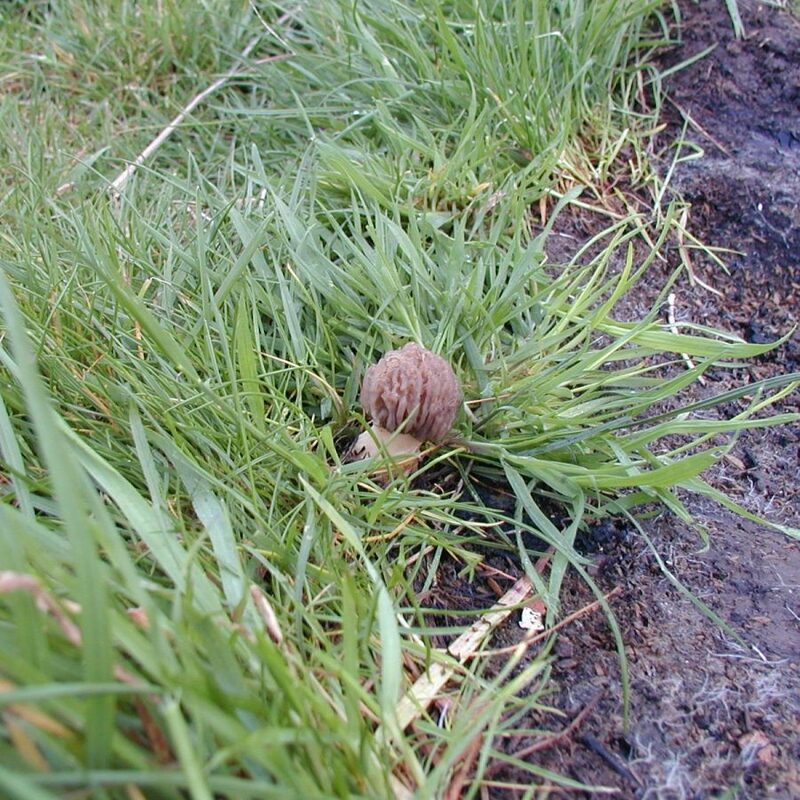 Our Fire Pit Morel Strain was isolated from a large Black Morel (nealy 500g in weight) which was found growing on the site of an old camp fire pit. 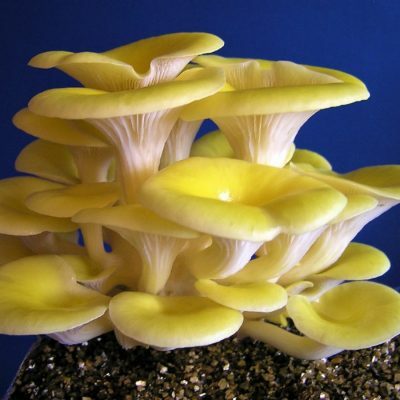 This makes sense when you learn that Morels are often found growing in forests in Spring after they have been devastated by summer forest fires. 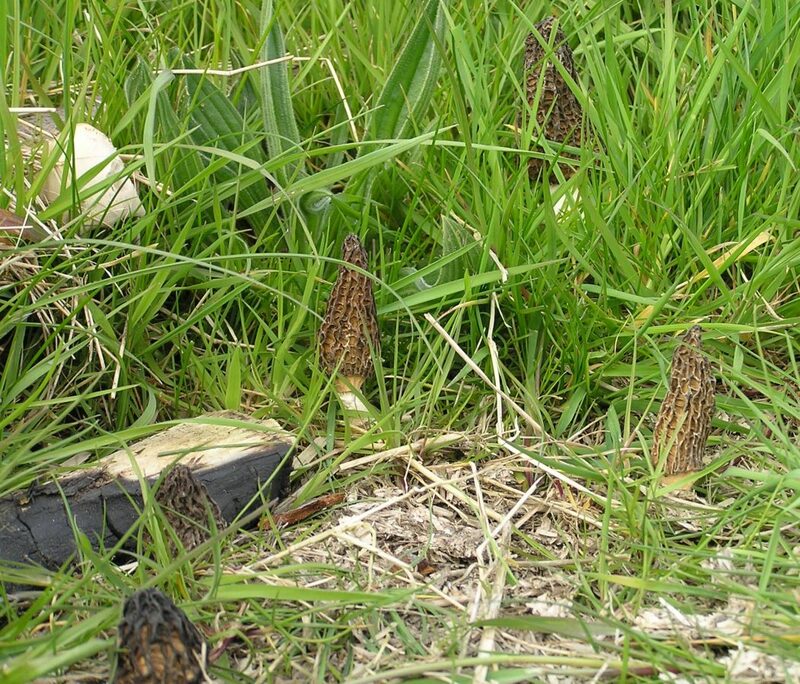 This phenomenon is a mystery, but theories point to a sudden release of trace elemments into the soil that triggers the Morels’ survival mechanism as the deforestation will allow its spores to spread over a greater distance. A forest fire is an enviroment that is very easy to replicate, and when coupled with a strain that originates from a similar environment, then the chances of success are greatly increased. 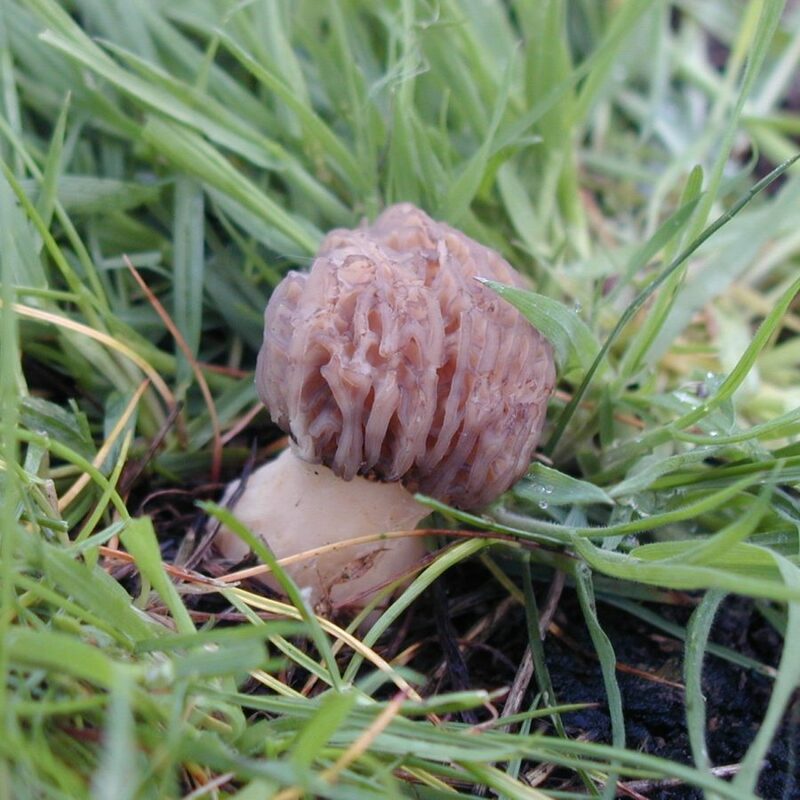 Results can’t be guaranteed but from our trials we have grown Black Morels where they wouldn’t normally naturally grow; for example, on heavy clay soil with no tree cover 1.5 miles from the coast. 1 kg of Black Morel Sawdust Spawn will cover a fire pit 1 m sq. The fire should be made with un-treated hardwood logs of different lengths and widths to simulate a natural fire – no treated preserved wood, paper, or cardboard, or petroleum based fire lighters should be used. Once the fire is out and has cooled completely (a couple of days or more) then the sawdust spawn is simply mixed into the ashes and burnt wood and watered in. 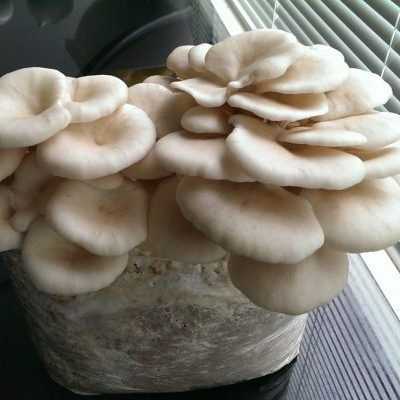 The site should be protected from drying out in the summer and watered regulary to keep it moist during dry periods (a shade cloth can be used as protection). 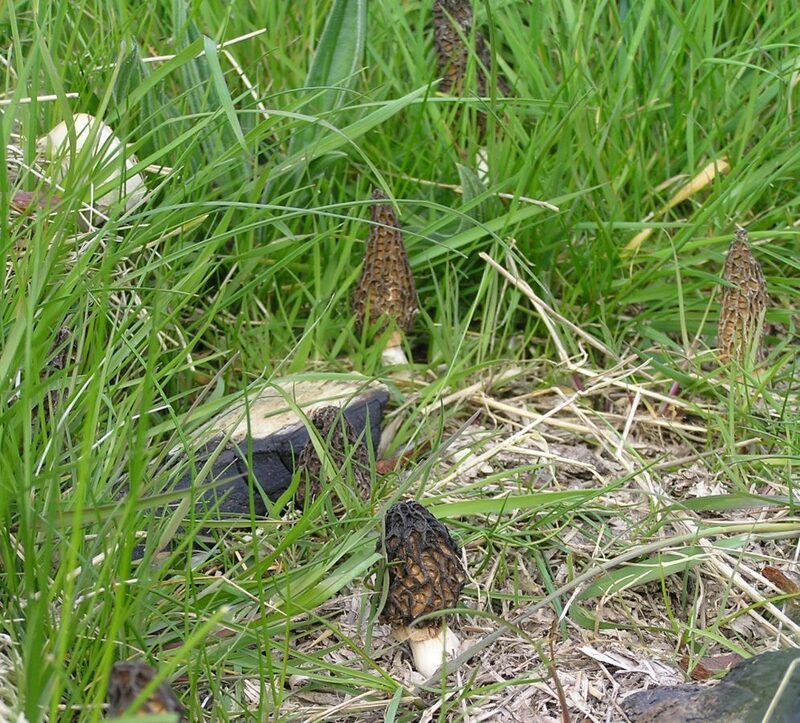 With a little bit of luck the first crop of Morels will appear in the following Spring after a period of pro-longed and heavy rainfall. 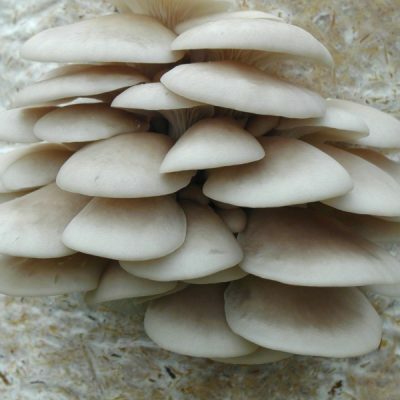 The bed may produce for a couple of years or more, and if the surounding soil conditions are right, the Morels may spread beyond the confines of the fire pit. If a fire pit can’t be made, then the ashes from a wood burning stove and/or barbeque can be used instead. Again, no treated wood, paper or cardboard, or petroleum based fire lighters should be used. 1-2 buckets of ash, 1 bucket of garden compost, 2.5 kg of gypsum (which can be purchased here), will be sufficient for a 1m sq bed. 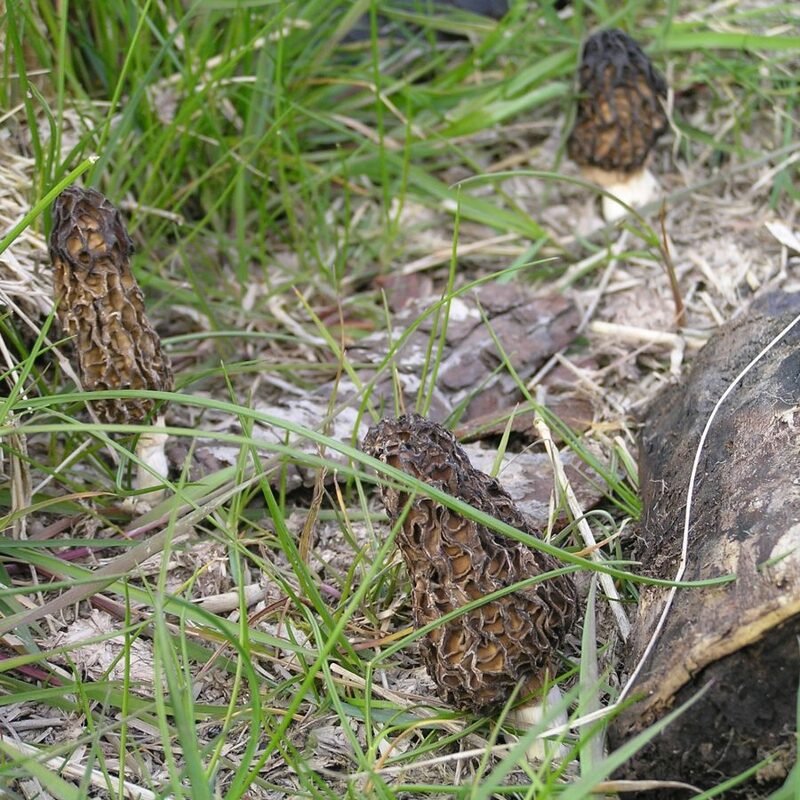 Black Morels can be started any time of the year; Spring, Summer and Autumn being considered the best times. 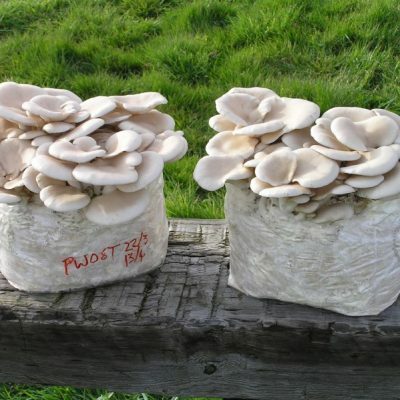 They can be started in Winter also as Morel mycelium is tolerant to frosts and freezing, but in Winter there is less chance of the Morels spreading beyond the site that year. Full instructions are supplied with the sawdust spawn, covering both Fire Pit and Stove Method. 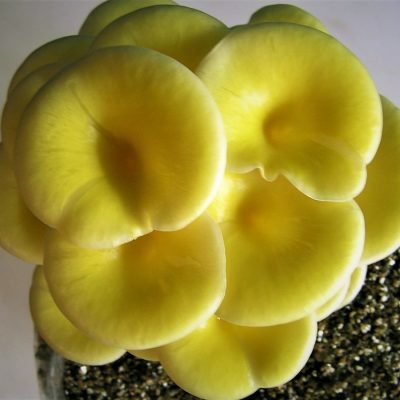 Morel Spawn Storage Instructions: supplied with a 3 month use-by-date and stored in a cool dark area.